Home / Entertainment News / Lord Jesus! See what merciless thugs in Nairobi’s Eastlands did to a pregnant WOMAN on her way to hospital, this is satanic. Lord Jesus! 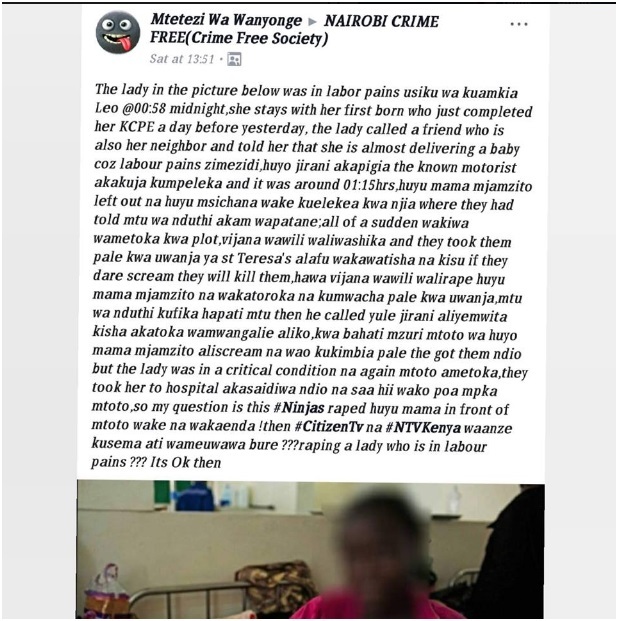 See what merciless thugs in Nairobi’s Eastlands did to a pregnant WOMAN on her way to hospital, this is satanic. Monday, November 5, 2018-Two merciless thugs attacked a pregnant woman and raped her when they she was going to hospital to deliver after experiencing labour pains in the middle of the night. 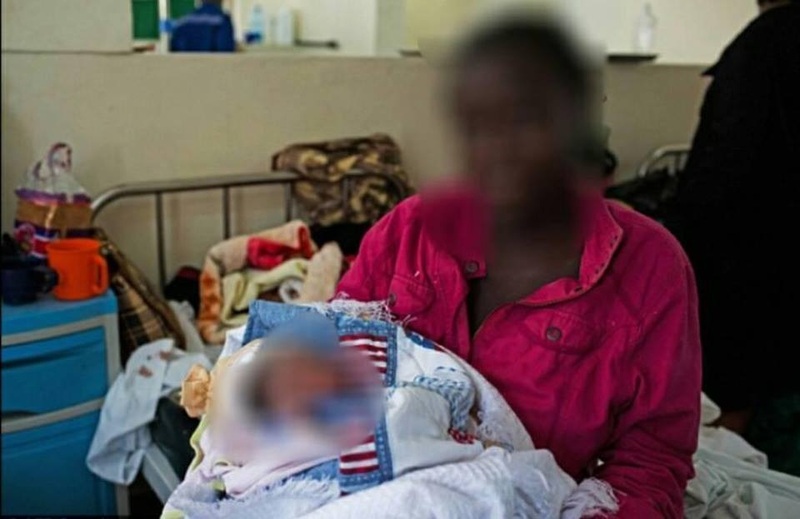 The woman was accosted by thugs at around 1.15 AM on Friday together with her first born when they were going to take a boda-boda to ferry them to hospital. The 2 thugs threatened the woman with a knife and then took her to a field where they raped her in turns and then vanished after executing their evil mission. Check out this post by a popular Eastland’s crime buster revealing what exactly happened.